New Giveaway: Read to Me! Would you like to receive a free reading guide for young children? The Read to Me! 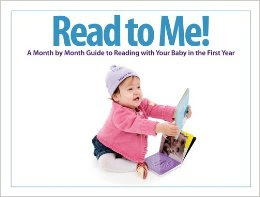 Program in Nova Scotia, Canada recently put together a wonderful month-to-month Guide to Reading with Your Baby in the First Year. Each month gives information about a baby’s development, tips, recommended books, and rhymes. And the guide is even provided to children in Arabic, Chinese and French! 2) Fill out our contact form, letting us know in the “comments” section which blog post you commented on or whether you shared on Facebook/Twitter. Also tell us whether you prefer an English, Arabic, Chinese or French version of the Read to Me! guide. Please be sure to fill out your correct address so we know where to send the guide!